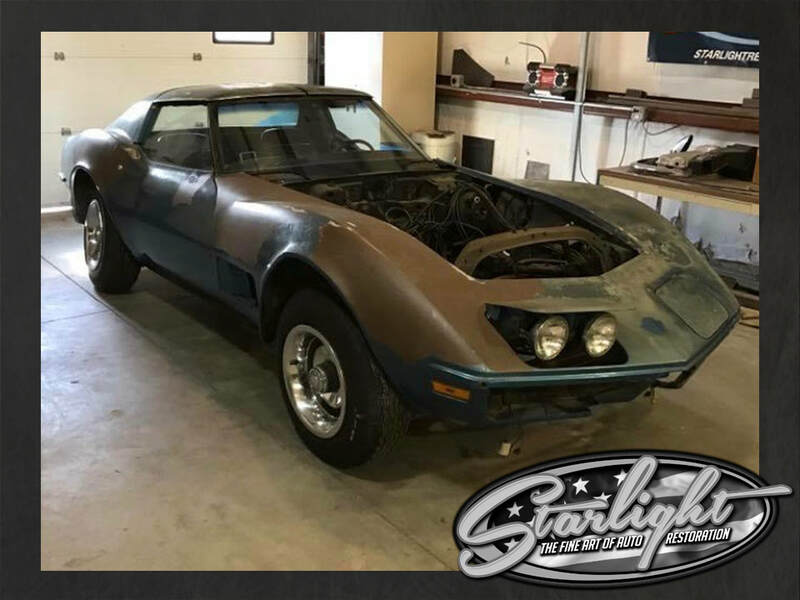 In The Shop - STARLIGHT RESTORATIONS LLC. 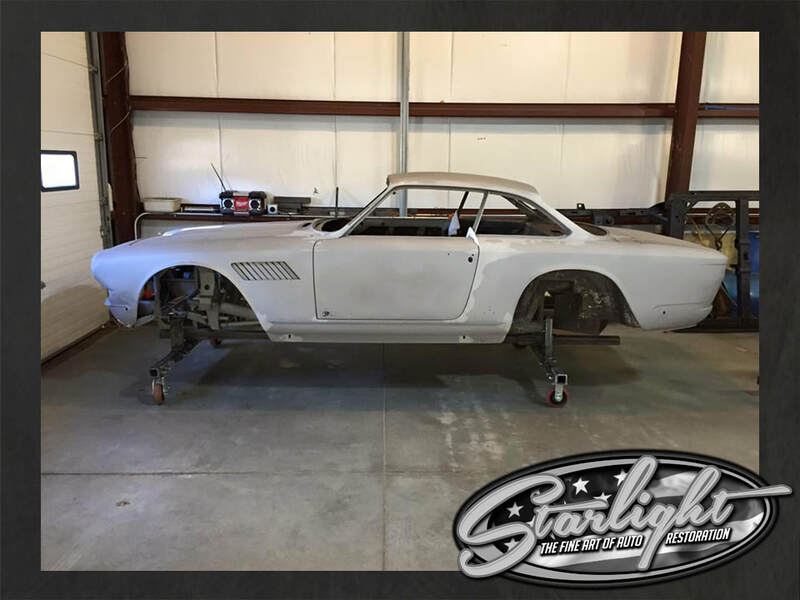 ​fabrication, complete restoration of underside via rotisserie, bodywork, paint, paint finishing and undercoating the engine bay and underside…finished for assembly. - In for: Complete “Grand Touring” build. 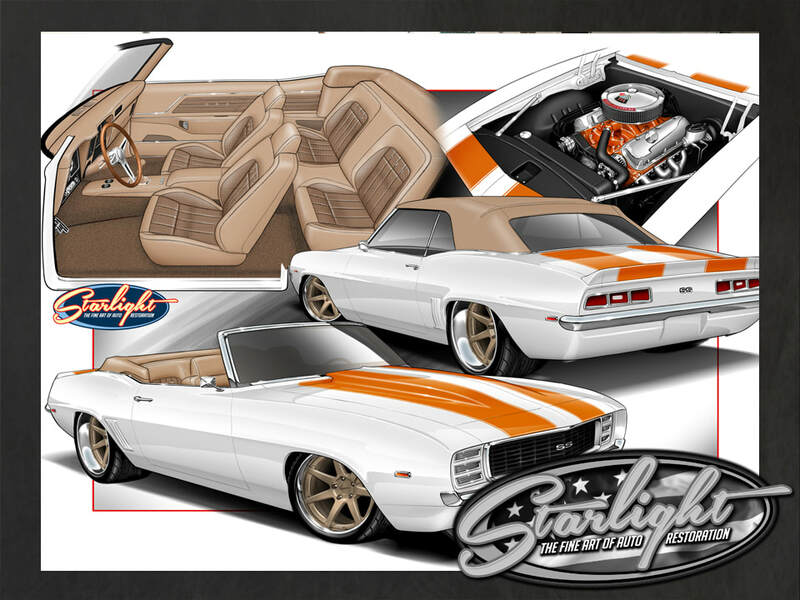 A high end restoration, which blends pro touring performance with improved comfort and luxury…..built to cruise long distances, with all the creature comforts of today, while maintaining that classic muscle appearance. Roadster Shop Chassis equipped. 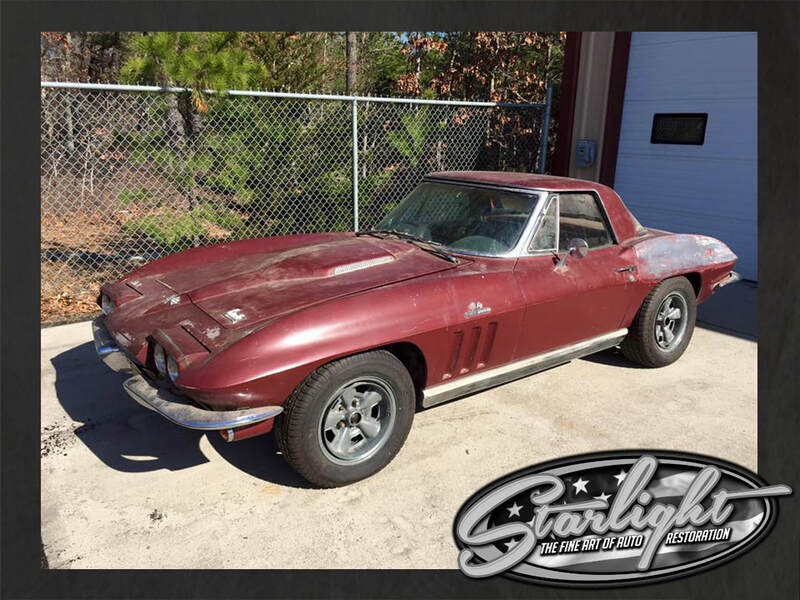 In for: Complete NCRS spec restoration. 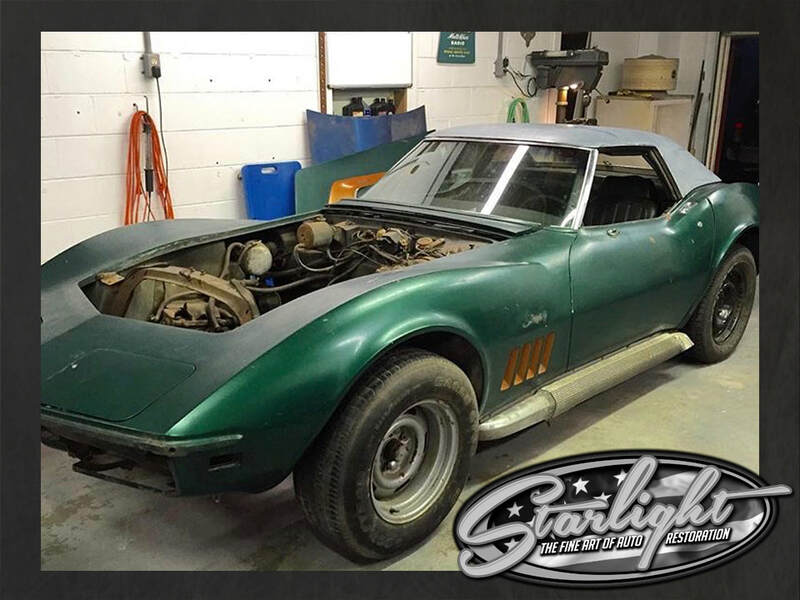 Although we specialize in Concours level restorations, this car will be getting judged, so we can only improve things so much…without losing points at an NCRS show. ​serpentine belt set up. ZL1 flared fenders and a host of other subtle body and interior mods. RideTech suspension, SSBC brakes and Forgeline wheels will help this car handle like it’s 2017!